As fitness professionals, it is easy to take our good health for granted. Regular physical activity and good nutrition keep us in top form and looking our best. Beneath the surface of your hard-earned physique, chemical responses are constantly being triggered by outside stimuli to maintain physical homeostasis, or balance. Hormones are chemical messengers that regulate organic functions. When stress, lack of sleep, poor nutrition and lack of physical activity are present, hormones work overtime to try to achieve internal homeostasis. When chronic stress from outside stimuli is present, your body feels threatened, and your immune system works overtime to fight off potential invaders. 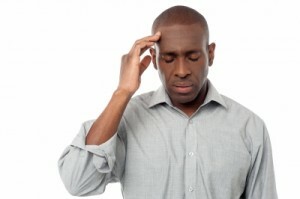 One hormone that dominates the body during times of stress is cortisol. According to researchers at the University of New Mexico, cortisol is necessary for fuel regulation. It is released while exercising, eating, awakening, and during psychosocial stress. But cortisol induced by chronic stress can stimulate cravings for fats and sugars, and can cause the body to redistribute fat to the abdomen, where it accumulates around vital organs. Visceral abdominal fat can lead to obesity, diabetes, heart disease and dementia. Stress is part of life, and highly motivated people are likely to have more than their share of stress because they take on greater challenges. Many of our clients are Type-A overachievers who are in it to win it. Sleep deprivation, too much caffeine, excess alcohol consumption, eating on the run, hours spent sitting and lack of recreation are just some of the symptoms of a stress-driven lifestyle. According to the University of Maryland Medical Center, chronic stress can lead to depression, metabolic disease and heart problems. As trainers, it is up to us to help our clients acknowledge their harmful behaviors and map out a strategy for change. 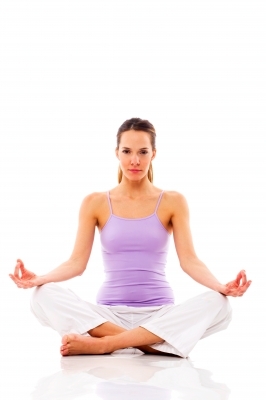 Regular vigorous exercise, adequate sleep and whole foods nutrition are tools that help with stress management. Mind-body activities like yoga, tai chi and Pilates can help alleviate stress by increasing your awareness of your body’s physiological processes. Meditation is a powerful tool for stress management because it teaches the practitioner to control mental reactions to stressful thoughts, thereby thwarting the harmful physiological responses that worrisome thoughts trigger. Massage can also help to reduce stress. As a trainer, you can help your clients manage stress by introducing these practices as part of their training protocol. Helping your clients manage stress should be a fundamental consideration for any successful trainer. To learn more about stress management and lifestyle coaching, check out W.I.T.S. Lifestyle Fitness Coaching and Personal Trainer Certification Courses, both available online. Epel ES, et al (2000). Stress and Body Shape: Stress-Induced Cortisol Secretion is Consistently Greater Among Women With Central Fat. Psychosomatic Medicine, 62:623-632.